Tanya Huff’s Gate of Darkness, Circle of Light is a rare novel in that it features a type of protagonist that is rarely displayed in literature, and particularly urban fantasy literature. Rebecca is a woman with an ID (intellectual disability, sometimes called a developmental disability). Unlike most portrayals of characters with ID, she is not a supporting character nor a throwaway character meant to garner audience sympathy, instead, she is the central character of this narrative. Like most people with ID, Rebecca regularly experiences discrimination and assumptions about her capacity from the people around her. Ableist people around her constantly express the belief that she should be institutionalized, and the belief that she is at risk and vulnerable. Rebecca resists these assumptions about her, constantly displaying that she is the hero of this narrative, a character who serves as the touchstone for the various people that she has attracted into her party of people fighting against a darkness that has infringed upon the city. Rebecca has the ability to see the magical all around her. She sees all of the mythical creatures that inhabit the city of Toronto that no one pays enough attention to in order to be able to see them. Her observations about this mythical world are constantly overlooked as imagination by the people around her and dismissed as the imagination of a woman with ID, but when darkness invades her world, Rebecca is able to teach a select group of people how to See the supernatural. Rebecca encourages her friend Roland, a musician, and her social worker Daru to join her battle against the darkness eventually invoking an adept of the light to battle against the darkness. This adept relies on the combined strength of these characters to prevent darkness from overtaking the city of Toronto, particularly drawing upon Rebecca’s strength. But this battle is not just one of light versus darkness, but an internal struggle for all of the characters to learn more about themselves. Roland undergoes questions of his sexuality as he experiences his first attraction for another male in the form of the adept of the light, Evan. He becomes uncertain of himself as he experiences his first gay crush. The darkness exploits this uncertainty initially until Roland is able to face his own understanding of himself and accept himself. Along with the big issues of good versus evil, characters go through those little transformations and little struggles with the grey areas of their existence, struggling to find themselves and discovering that even the small acts in their lives have meaning and shape the world around them. Gate of Darkness, Cirlce of Light is a novel about facing the complexity of existence and learning about oneself and one’s biases in the meantime. 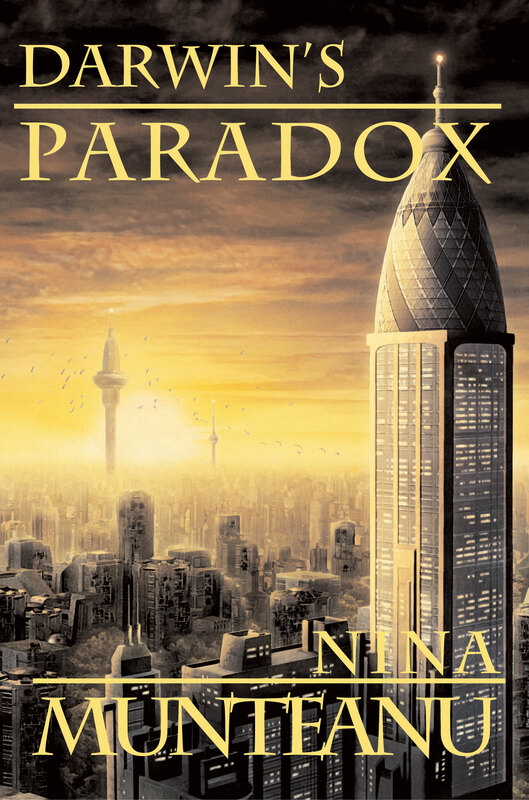 It is a novel that situates itself as one of binary opposition (good versus evil) but explores the complexities of life and the awareness that we always live in the grey areas in between where we need to constantly learn more about the world around us to make moral decisions. In The Pitiful Human Lizard # 3, author And illustrator Jason Loo finally gives us a glimpse at some of the supporting characters in the comic. We get our first real look at the life of the top tier Toronto superhero Mother Wonder, and a chance to see her civilian life as a mother with small children. Although not the title character, Mother Wonder serves a key role in Loo’s superhero world. She is the superhero who The Pitiful Human Lizard looks up to and considers himself far below her power ‘weight class’. Loo allows us a view into the life of a character who would be considered second tier and his reactions to meeting a first tier superhero – blending envy with fandom and a desire to assist. The role of family has been an important one in Loo’s comic, allowing us to see the home life of his character and familial responsibility. 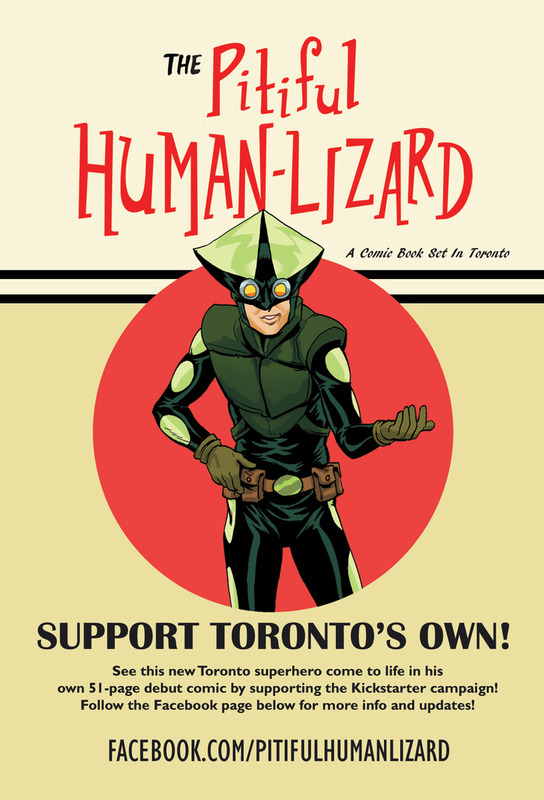 This family role transcends his civilian life in the comic when The Pitiful Human Lizard needs to continue to cope with his father’s celebrity as an early Toronto superhero, The Lizard Man, and the fact that people keep making connections between father and son, which could reveal The Pitiful Human Lizard’s civilian identity. The threat posed by the potential for his family to reveal his identity further blurs the space of family and superhero identity, placing him in a precarious space of uncertainty between two identities that most superheroes tend to keep separate. The blending and mixing of superhero and civilian/family identity is further illustrated through The Pitiful Human Lizard’s interactions with Mother Wonder. Her name itself speaks to the close connection between familial and superhero identities, and The Pitiful Human Lizard’s constant view of her as the superhero he aspires to impress situates her as a sort of maternal figure to him, coaxing him to further develop. When The Pitiful Human Lizard is able to recognize Mother Wonder in her civilian identity while she is out with her family, the line between superhero and family is further blurred, allowing him a glimpse at her familial identity. Where The Pitiful Human Lizard is inspired by Mother Wonder as a figure to look up to, he inspires the development of a new superhero in a very different way. He evokes the irritation of Lady Accident, who seeks to become a superhero because she is frustrated at the attention-seeking behaviour that she believes underlies most superhero identities. She is able to justify her own voyage into heroism as a reaction to this attention-seeking behaviour rather than a reflection of it, and, rather than continuing to protect the public from the shadows, she sets out into the streets with her own garb (something not too flashy so she can blend in, but different enough so that she can stand out). Lady Accident reveals her own contrasting desires to both be noticed and also continue to be critical of superheroism’s intrinsic attention-seeking. This issue is one of revelations – characters discovering secret identities as The Pitiful Human Lizard discovers the secret identity of Mother Wonder and also recognizes Lady Accident as his sometime girlfriend Barb, but beyond the plot revelation of secret identities, this issue also reveals the blurring of identity that can occur when a character’s civilian and super identities mix and interchange. A few readers have expressed some interest in my academic work researching Canadian Speculative Fiction. I have sent out versions of my abstracts for upcoming conferences to people directly, but I thought it may be worthwhile for me to post them on Speculating Canada so that people can see them. For those of you who are not from academic backgrounds, abstracts are sort of like teasers for a paper that you are going to present at a conference. They give the reader a general idea of what the paper will be about so that they can determine if they would like to attend your conference paper or not. The abstract below is for a paper I will be presenting at the Academic Conference on Canadian Science Fiction and Fantasy on June 7th in Toronto. You can explore the conference at http://www.yorku.ca/accsff/Introduction.html and determine if you would like to attend. I highly recommend it since it is of interest to academics as well as accessible for the general public. In Brown Girl In The Ring, Nalo Hopkinson uses speculative fiction to suggest an alternative reading of the space of Toronto. In order to assert a form of belonging in a space that traditionally denies racialised and ethnic others, Hopkinson rewrites the Toronto landscape of the future. Denied a past in Canada because of the erasure of blackness from the Canadian landscape, she instead writes diversity into the Canadian future. Hopkinson uses the speculative fiction medium to take an iconic image of the Canadian cityscape, the CN Tower, and transform it through a Caribbean-inspired vodoun ritual into the world tree and pillar of the vodoun temple. Toronto becomes temporarily a space where the Loa (vodoun spirits) walk the landscape. She transforms the Canadian landscape by disrupting notions of the set role that artifacts and architecture are constructed to represent and by suggesting another dialogic possibility. She reconfigures aspects of the traditional Canadian landscape into a traditional Caribbean landscape, marking the space as multivalent and subject to multiple interpretive frameworks. She illustrates that meanings are not static, but constantly shifting, being reinterpreted and reconfigured by new people with new ideologies and new systems of meaning. The CN Tower in Hopkinson’s proposed future Toronto is not a static thing, but is rather transformative, changing with the populations that shift in Canada. The landscape and its meanings are constantly shifting as our social and political landscapes shift and things that are traditionally Canadian, like the CN Tower are able to shift as Canada’s traditions and ideologies shift to include a more diverse group of Canadians with more diverse readings of the features of heritage. Hopkinson sets her Toronto in the slight future, creating a city that has been ghettoised and cordoned off by the Canadian state. It has been designated an unsafe space and becomes a place where racialised people are trapped. Hopkinson plays with ideas of invisibility of difference by having her characters literally become invisible through Caribbean magic. She seems to be suggesting in her narrative that the only place that Canadian racial geographies can be transformed is in a science fictional reality. Literature has the ability to create diverse spaces even when it seems as though it is impossible to transform the physical landscape. Speculative fiction can propose an alternative reading to the landscape and allow a space for diversity. For New Canadians, literature and the arts can become a space where the Canadian landscape can be transformed into an inclusive space that challenges dominant narratives of belonging and suggests an alternative reading of the world and its spaces. The meaning of objects can shift in the consciousness of diasporic people as they assert their own identities and prevent their erasure from the Canadian landscape. Hopkinson uses literature as a space for the assertion of the idea of home for people in diaspora. People are often asking if there is such a thing as “Canadian identity”, something that differentiates Canada from other nations. I thought I would ask authors if they thought that there was something distinctly Canadian about Canadian Speculative Fiction or how much they felt that their Canadian identity influenced their writing. I have provided links to the full interviews below each author’s comments so you can re-read them or, if you haven’t had a chance to read them yet, to read them for the first time. “We Canadians are champion diehard storytellers. I mean take a look at our winters. Take a look at our television network. Take a look at our mosquitoes. What else have we got to do but to tell stories to each other? 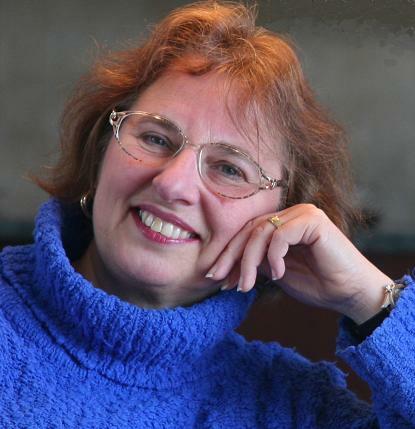 “Besides being thoughtful and intelligent, Canadians write from their experience. Cities here are different than cities in the U.S. For example, our citizens don’t carry guns. Our landscape involves a lot of nature, which is important to Canadians, and that allows for a certain type of horror that can be both visceral and psychological. Characters in the stories and novels produced in this country — and I’ve read a lot of short fiction for the four anthologies I’ve edited for Edge (two were all Canadian authors and the other two have a goodly chunk of Canucks) and the eight before those for the U.S. market — read like real people, well-constructed, with depth and lives and thought-processes which aren’t stereotyped. Because the characters are intelligent, even if a tad whimsical, readers can respect them. There’s nothing worse in a horror novel or story than the clichés, for example: “Let’s split up!” Stories by Canadians strike me as having characters who are loners, not necessarily out of some twisted or evil past but more because of the way we live here, a kind of self-sufficiency that isn’t bitter. What I mean is, you get characters who just get on with it and deal with things to the best of their ability. And most of the time they don’t have arsenals at their disposal so they have to use brain-power while coping with the emotions evoked by the horrific situation. “It’s probably premature to begin identifying what, if anything, differentiates Canadian from international steampunk. If its popularity survives for more years, then a comparison might be worthwhile. In some ways, the real history of Canada is kind of like an alternate history of the United States – we were the part of British North America that chose to stay British. Those who didn’t want to become republican Americans came here as Loyalists. “Once you get past the superficial bric-a-brac of steampunk that is common in books from various countries, the Canadian angle has interesting opportunities, since it places the reader in North America, and yet also in the greatest multinational empire that has ever been. “Not being a scholar of Canadian SF, I don’t know if my forecast would be any better than those of Environment Canada since their budget cuts. It looks like SF will continue to be sidelined, culturally, for the foreseeable future, since there’s a sort of literary apartheid in Canada (as in other countries), which places SF down in the lowest class where it can be disenfranchised by excluding it from the grants, prizes, reviews, media attention, and the rest of the grease and hot air that lets the literary machine chug along, hoisting books out of the shadows and into the public eye. “Some countries, perhaps, do a bit better than Canada. In the US, where every stage of the Lit Cycle from writing to reviewing to award-giving isn’t subsidized by a federal or provincial ministry of official culture, there seems to be an acknowledgement that literature consists of something beyond self-conscious nation building, lyrical tales of suicide on the prairies during the Great Depression, and other dismally “realistic” but morally uplifting fare. Coincidentally, the US also has a huge SF publishing industry, attracting writers from, among other countries, Canada. And there’s probably a reason why writers like Sir Terry Pratchett appear in the UK, and not in Canada. Despite there being the same tendency to pretentious literary cliques in the UK as we have here, Pratchett was knighted (the equivalent of a Companion of the Order of Canada), his works have been performed as stage plays, as TV programmes, and on the BBC, and he won this year’s Wodehouse Prize (equivalent of the Leacock Medal, but with more pigs and champagne). Writing SF requires imagination, but I’m not sure that I have enough to imagine a Canadian fantasy writer being similarly celebrated by his or her country. “Well, beyond the Canadian and Toronto settings in many of my stories, now that I think of it, one of the [Canadian] themes that recurs in my work, especially the Heroka shapeshifter stories, is that of the conflict between our civilization and the natural wilderness, as our resource-based industries, which feed our cities’ growing hunger for timber, water, power, minerals, and land, consumes more and more of the natural world and habitats of our wildlife. Our country has always been defined by its vast wilderness areas, and yet the huge majority of our population lives in only a few highly urbanized pockets of that vastness. So there’s this destructive dichotomy between us and the land we live in–we live off of the land but we don’t really live in it. But for those who do live there and for the wildlife species that live there, we’re destroying more of that wilderness every year to feed the hunger of the cities. This is the central theme in The Wolf at the End of the World and in most of my other Heroka stories. The Heroka are a race of shape shifters whose vitality as a race is tied directly to the vitality of their totem animal species, species that are dwindling as their natural habitats are destroyed by logging or mining concerns, or flooded for hydro-electric projects. “I feel a strong Canadian identity and I’m certain it imbues my main characters and the cultures I portray. Firstly, I make a point of using Canadian places as settings for my fiction (if set on Earth, that is). “In her book Survival, Margaret Atwood once advanced the idea that all CanLit centres around a massive, indifferent, rejecting physical landscape and our place, or lack of one, within it. And while I initially found that idea hard to go by, mainly because I was raised in one of North America’s cities. One thing I’ve learned from teaching Canadian film history is that Canadian “culture” is mainly defined negatively, like in the old Molson’s “I am Canadian” beer commercial: We don’t eat blubber, we don’t have a President, etc. “Nine times out of ten, particularly in English-speaking Canada, what we’re defining ourselves against is the spectre of America—if I had a dollar for every time a student of mine from somewhere else in the world asked me to admit there’s basically no difference between us and the U.S., I’d eat free for at least a week. Before that, however, it was about wanting to still be part of the British Empire even after they didn’t have any use for us, and these days it’s about how our vaunted multiculturalism mainly provides a way for us to stay in insular little groups and only interact when forced to. Which does, in the end, actually stem from geography: We’re a country the size of the former Soviet Union with a population the size of California spread out across a very disparate series of environments, most of whom still maintain they were tricked into becoming part of one country united by a railway and a radio-television network. “When you get down to it, our national self-image is entirely imposed from the outside, a generalization cobbled together from dreams and guilt, then historically distributed through a Film Board put together by a socialist Scots expatriate who hated Hollywood and a Broadcast Corporation run from Ottawa. No wonder we’re so unable to explain what sets us apart. I always think about the title of one of Alice Munro’s early short story collections, Who Do You Think You Are?, because it perfectly encapsulates the sort of crushing self-doubt and left-over British class system resentment of the individual’s capacity for change in the face of static stagnation that defines the heart of the non-indigenous Canadian experience. And while it’s slightly different when set within an urban context, it’s not even vaguely as different as most of us would like to think. “I think Canadian SF is darker and more experimental than mainstream American SF. I think the publishing industry allows for more kinds of individual author development—we have smaller publishers with greater weight in Canada. In the States, where every microgenre gets codified and calcified, I see a lot more of the same stuff coming out for consumers. I see a lot more undefinable genre in Canadian SF. A freedom because, partly, there’s not a lot of fame on the table, but also because there’s a desire to create a Canadian SF. It looks like we’re nowhere near nailing a specific kind of SF, though, more inviting people to play. Look at Evolve from Edge—the SF future of vampires; look at anything Chizine is doing, which is so out there! It massacres genre-expectations. It also gives authors so much freedom.